The company plans to use a hybrid digital/phisical business model based on the ones Halo-8 used for the Occupy Comics project and the Godkiller 2: Tomorrow’s Ashes miniseries. Occupy Comics (see “Alan Moore Will ‘Occupy Comics’”) was set up as a Kickstarter project. Godkiller 2: Tomorrow’s Ashes was sold three ways: as three digital issues for $6.66 each; a trade paperback for $16.66, or a bundle of both for $19.99. The digital copies were sold as PDFs or CBR files. Most people bought the $20 combo bundle, according to Pizzolo. The company also plans to adopt strategies used by record companies to leverage devalued/pirated content "into larger audiences for branded merchandise, events, special editions, and transmedia worldbuilding." 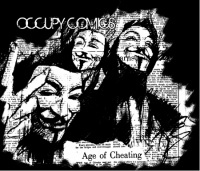 The first project for the new company will be Occupy Comics, which it will distribute without a fee.